Do you need to buy or sell gold? If you need to buy or sell 8, 9, 10, 14, 16, 18, 22, and 24kt gold, then you can get maximum value when you deal with MK Precious Metals. Whether you are considering buying or selling your gold jewelry, coins, bars, scrap gold, or other gold items, you can get top dollar and lock in prices when you call today. We also buy broken gold jewelry and jeweler’s bench filings and sweeps. Call us today! Gold is subject to market fluctuations, which means that the standard price per ounce is not constant and may vary day to day. Therefore, the only way to ensure an accurate quote is to call a qualified professional who can help you make the right decision based on your situational needs as well as the market factors affecting the overall economy and price of gold today. Call us today to lock in prices! If you want to sell your gold, be sure to call MK Precious Metals so you can get top dollar for your gold coins, ounces, bars, jewelry, scrap, oddities, trinkets, and more. 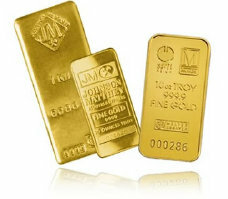 We will evaluate your gold for purity and quality and pay you CASH. We will also travel anywhere within a 200 mile radius of Chattanooga, TN to purchase your gold. Our service area includes: Nashville, Knoxville, Tri-Cities, and Chattanooga, TN; Atlanta, Macon, and all of Northwest and Northeast GA; Huntsville, Scottsboro, and Birmingham, AL; and almost anywhere in between! We will also travel outside our standard service area for certain customers. Please call (423) 991-6982. If you’re looking to buy gold as an investment, savings option, or for any other purpose then you’ve come to the right place. MK Precious Metals can help you determine the best strategy for buying or investing based on your specific needs. Please call (423) 991-6982. It is often worth the investment of getting an independent, professional evaluation of difficult-to-price items for a variety of reasons. Whether you need to get an estimate for insurance, estate liquidation, asset evaluation, or other reason, MK Precious Metals can provide a thorough and accurate estimate swiftly and conveniently. Please call (423) 991-6982. We buy and sell all types of silver, from sterling jewelry to pure ingots, bars, and more. Contact us today for more info. We buy and sell platinum jewelry, bars, and more. Contact us today to get a quote and lock in your prices or to get more info. Do you have other precious metals? Get cash based on quality, quantity, condition, and other factors. Contact us today. Let MK Precious Metals help you get a fair market value for your US and foreign currency, whether mint issued or not. Do you have other precious valuables that have inherent worth in their historical significance or rarity? Contact us today! Banks, lawyers, insurance companies, and everyday people rely on Precious Metals LLC for fair and accurate asset values.